The Festival started with a concert by Jason Lindner: Breeding Ground, vocalist Antoinette Montague, and DJ Greg Caz as opening act. 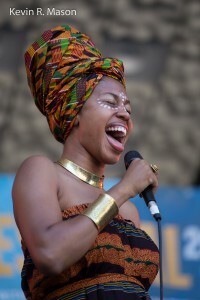 DJ Greg Caz was featured at several SummerStage events, including Dianne Reeves’ show in July. When asked how he prepares for a set, he said, “Well, if I know I’m playing with someone I really admire like Dianne, I’ll certainly go through my collection and pull out relevant records. I’ll never forget Dianne standing backstage recognizing her young self and first recordings and smiling, laughing, and shaking her head!” DJ Greg Caz created a great musical atmosphere at each concert he opened, always picking just the right blend of music to get the audiences in the mood for the show. Charles Turner III. The Saturday concerts began with a show by vocalist Charles Turner III, the first winner of the Annual Duke Ellington Vocal Competition in New York City in 2014. He has become a mainstay on the Manhattan jazz scene, collaborating with artists like Ulysses Owens, Jr., Marc Cary, and Jason Moran. 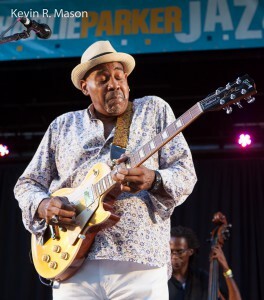 Turner was joined by bassist Barry Stephenson, guitarist David Rosenthal, pianist Michael King, and drummer Quincy Phillips on a set that included “The Wise Man’s Lament,” an impassioned plea for justice in the world. Charles introduced his captivating version of “Skylark,” saying, “I’ve been singing my own compositions, but it would be foolish of me not to sing something from the Great American Songbook.” Turner has a rich, powerful voice and an extensive range, with the ability to project a lot of volume or sing as softly as a whisper. He noted that he’s been inspired by Marc Cary, and added, “If you don’t know Marc Cary, you should get to know him, right away!” Turner asserted that at any age, anyone can relate to “Millennial Blues,” a song about how new technology makes life easier in some ways, but more complicated in others. The song was so swinging and sensual that some couples got up to dance – the music was that irresistible! Cory Henry & the Funk Apostles. 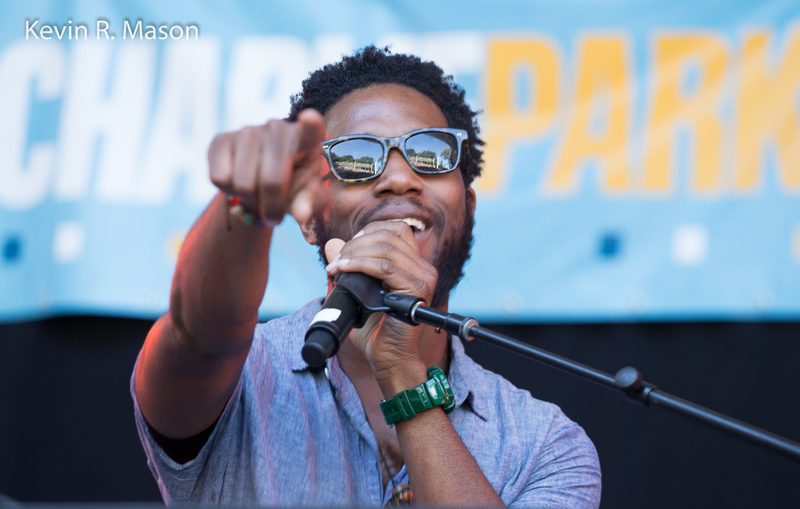 Multi-instrumentalist/producer Cory Henry is an in-demand artist who has performed with The Roots on The Tonight Show and worked with an array of musical legends across many genres. He’s also a member of the Grammy Award-winning group, Snarky Puppy. 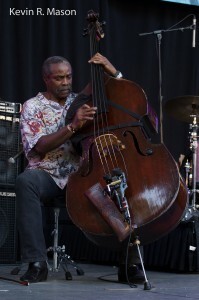 Henry encouraged the audience, saying, “If the music feels real good, if the music feels real fine, why don’t you get up and shake your behind!” The first song started as a chant and turned into a funky old-school jam, with Cory on his Hammond B-3 organ, James Williams on drums, and vocalist Bishop Jeffrey White. 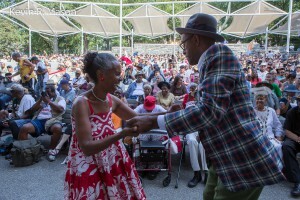 The group performed “It Takes All Time,” a bluesy “Proud Mary,” and a scorching rendition of Marvin Gaye’s “Inner City Blues.” They also played songs from Henry’s CD, The Revival. 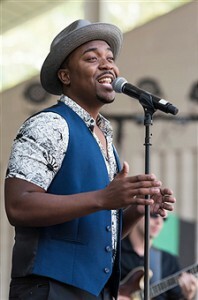 Near the end of the show, Cory said, “Don’t let the progression of fear rule you.” He discussed how people are living in fear all over the world, but when he wants to be happy, he sings what he calls his “happy song,” which is just the syllable “na’ sung over and over to a very catchy melody. Henry thinks it’s a better prescription than medicine, since music is universally healing. This concert was certainly better than any pill for putting you in a good mood! Grace Kelly. 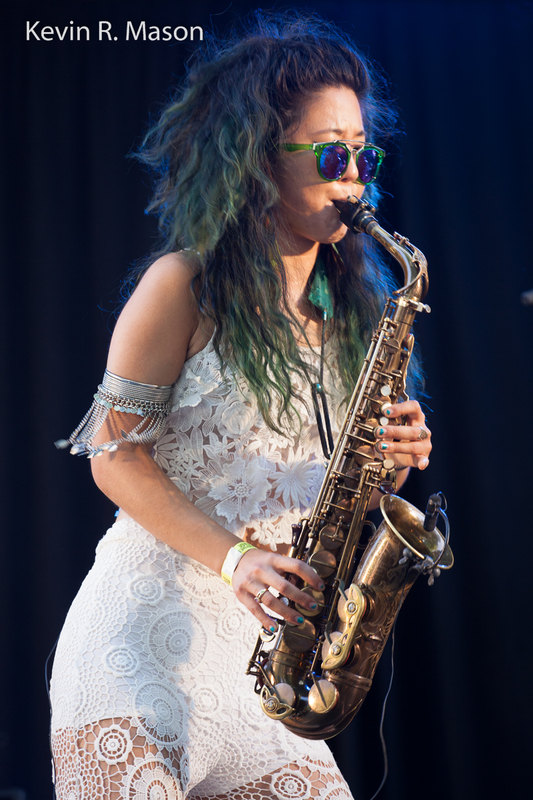 Saxophonist, singer, and songwriter Grace Kelly recorded her first album at the age of 12. Now 24, she’s a regular performer with Jon Batiste and Stay Human on The Late Show with Stephen Colbert, and she had just returned from the Vancouver Wine & Jazz Festival the previous day, where her drummer fell from a skateboard and suffered a broken arm! With little notice and no rehearsal, multi-instrumentalist Nate Wood stepped in and performed like a champ. “He’s the Man,” Grace said of Nate. 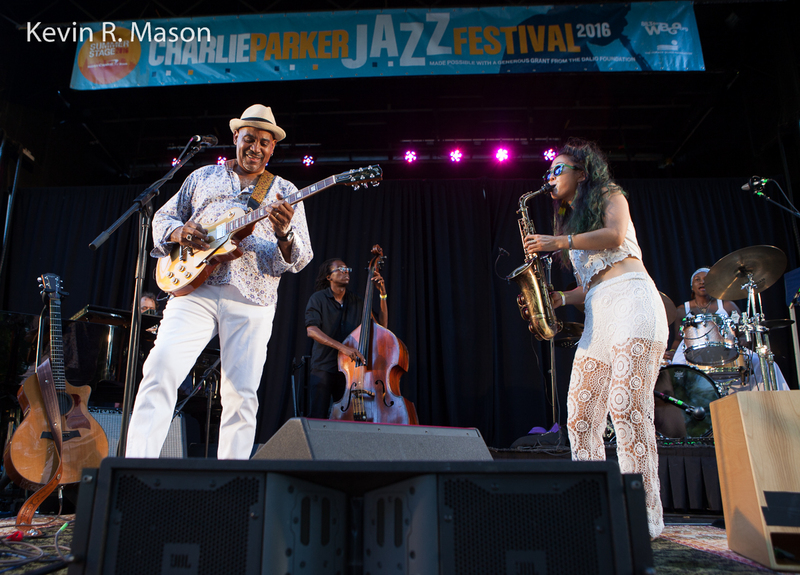 The band was rounded out by trumpeter Jason Palmer, keyboardist Julian Pollack, and bassist Julia Peterson. They did a wonderful job on “A Night in Tunisia,” “By the Grave,” and “He Shot a Man,” which was based on Kelly’s experiences while performing at San Quentin. The show continued with “St. Thomas” and “Lemons Make Lemonade,” which Grace said was inspired by the joyful spirit of multi-instrumentalist Jon Batiste. She also spoke lovingly about the late saxophonist Frank Morgan, praising his talent and calling him a mentor and grandfather figure. It was surprising for some that Kelly has a wonderful singing voice, and she sang a lovely duet of “Smile” with Julian Pollack. She said, “I always dedicate this song to people who need a little more light and love in their lives. Given what’s happening in the news, I think that’s all of us!” For the last song, “Amazing Grace,” Kelly joked that it had nothing to do with her name, but really, it does, since her group played an amazing set, and drummer Nate Wood displayed remarkable grace under pressure! The Donny McCaslin Group. 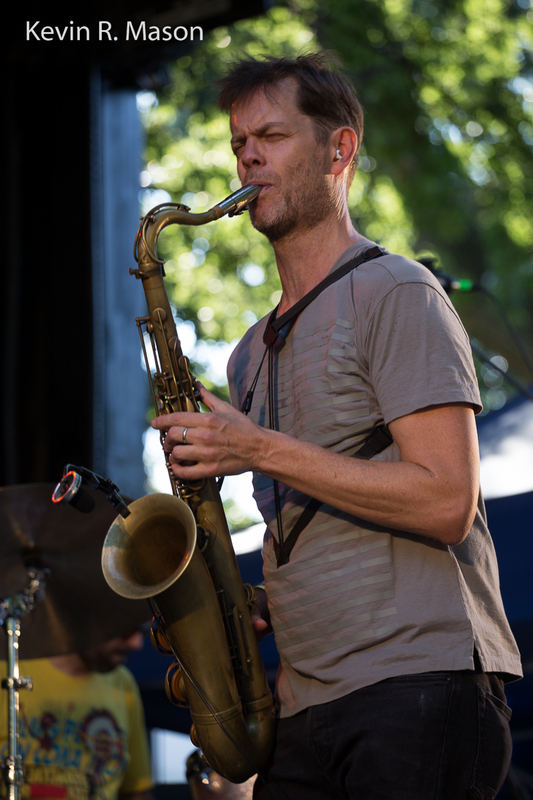 Acclaimed saxophonist Donny McCaslin and his group were featured on David Bowie’s final recording, Blackstar, and McCaslin’s recently released CD, Beyond Today, is a tribute to Bowie. Without a break after performing with Grace Kelly, Nate Wood played bass this time, joined by keyboardist Jason Lindner and drummer Mark Guiliana on a set that was like a surreal, interstellar trip. “Beyond Now,” a minor-key, otherworldly song, was inspired by Bowie and dedicated to his memory, and they also performed Bowie’s “Look Back in Anger.” There were so many influences evident in this set, it was like taking a walk through musical history, and they closed with “Fast Future.” Speaking of influences, Donny said from the time he started playing at 12, he was inspired by Charlie Parker, and he was grateful to be playing at the Festival named for the jazz giant. 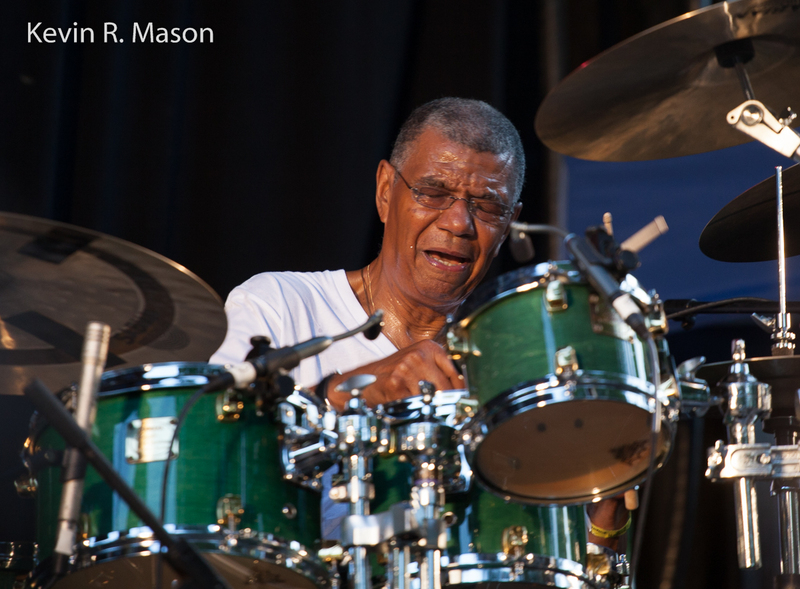 DeJohnette – Moran – Holland. In a five-decade career that includes collaborations with some of the most iconic figures in jazz, NEA Jazz Master Jack DeJohnette has established a reputation as one of the greatest drummers in the history of the genre. Pianist and composer Jason Moran has become known as a risk-taker and innovator. For more than a decade, Moran, recipient of the prestigious MacArthur Fellowship, has impressed audiences throughout the world. 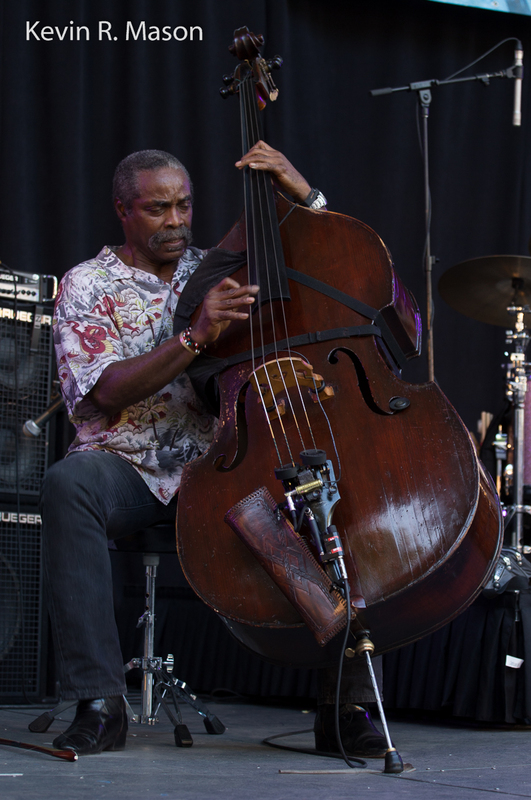 Grammy-winning bassist Dave Holland has earned one of the most enduring reputations in jazz, from his beginnings as a sideman with Miles Davis to his celebrated ensembles of today. The first song of the set went from bop to ballad, and the trio transitioned with skill and ease. Jason Moran said, “This is a dream come true, playing with Jack DeJohnette and Dave Holland.” Jason continued, introducing “Montara” in memory of the late vibraphonist Bobby Hutcherson, who died a couple of weeks before this concert, and was described by Moran as “one of the greatest musicians ever.” The trio played a dark and moody version of “A Night in Tunisia” that was completely different from Grace Kelly’s in the first set, but both arrangements were mesmerizing in their own way. 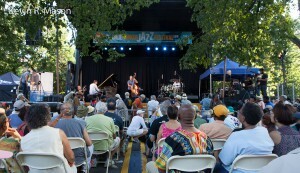 This set was not only a dream come true for Jason Moran, but a dream finish for the Charlie Parker Jazz Festival! The SummerStage Festival went above and beyond in 2016, with a jam-packed season of free concerts of every kind of music, especially jazz! 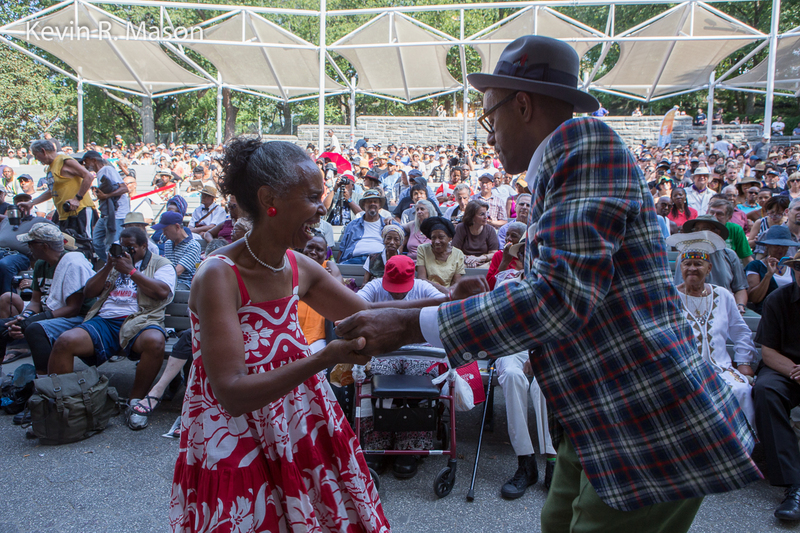 SummerStage made jazz accessible to everyone in all five boroughs of New York, and was a fitting commemoration of what many are calling the 100th anniversary of this great genre of music that America has given to the world.